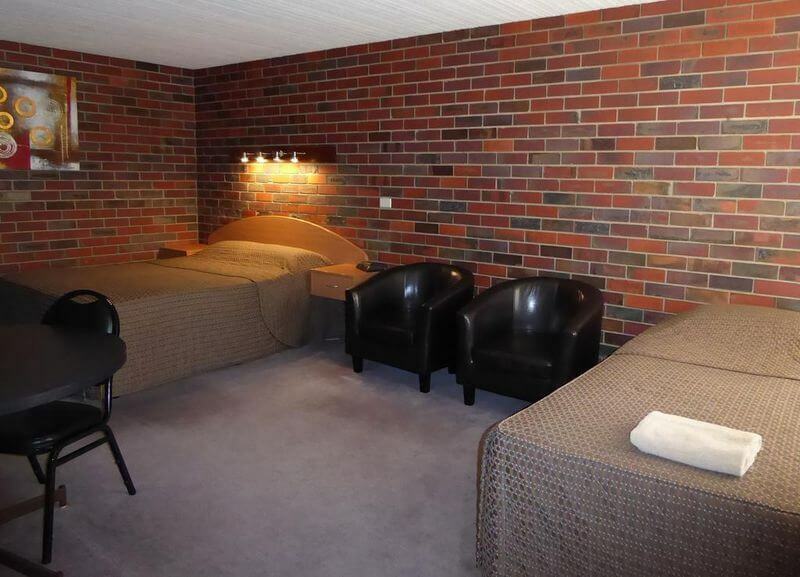 Our Standard Twin rooms offer comfortable accommodation. Each room consists of single beds and can accommodate 1, 2 or 3 people. The rooms are spacious and welcoming. Amenities include a separate ensuite bathroom, reverse cycle air conditioning, 50-inch flat screen television with Foxtel and free 24 hour wireless internet. We provide you complimentary tea and coffee making facilities, a microwave oven, toaster and crockery. Breakfast is also available and served to your rooms.